STAMFORD, Conn. – Oct. 1, 2013 – Coming off the most-watched NHL full regular season and Stanley Cup Playoffs since 2006, NBC Sports Group begins its coverage of the 2014-15 NHL regular season with an opening night doubleheader on October 8 on NBCSN, starting at 7:30 p.m. ET when Milan Lucic and the Boston Bruins host Claude Giroux and the Philadelphia Flyers on Wednesday Night Rivalry. Coverage continues at 10 p.m. ET, when Jonathan Quick and the defending champion Los Angeles Kings raise their 2014 Stanley Cup banner to the STAPLES Center rafters, before opening the 2014-15 campaign against Joe Thornton and the San Jose Sharks. Coverage begins at 6:30 p.m. ET with NHL Live, NBCSN’s live pre-game and post-game show. Opening week coverage continues on Thursday from St. Paul, Minn., when the Minnesota Wild host the Colorado Avalanche at 9 p.m. ET on NBCSN. Emmy Award-winning play-by-play commentator Mike ‘Doc’ Emrick, analyst Eddie Olczyk and Emmy Award-winning ‘Inside-the-Glass’ analyst Pierre McGuire will call Flyers-Bruins from TD Garden in Boston, Mass. Dave Strader (play-by-play) and Brian Engblom (analyst) will call Sharks-Kings from Los Angeles. John Forslund (play-by-play) and McGuire (analyst) will call Avalanche-Wild on Thursday. NBC Sports Group’s lead NHL broadcast team of Mike ‘Doc’ Emrick (play-by-play), Eddie Olczyk (analyst) and Pierre McGuire (‘Inside the Glass’ Analyst), as well as NBC Sports and NBCSN’s executive producer Sam Flood, will preview the upcoming 2014-15 NHL season on a media conference call today at 4 p.m. ET. Prior to puck drop on Wednesday night, NBCSN will break down the 2013-14 regular season with an hour-long edition of NHL Season Preview, airing live on Tuesday at 8 p.m. ET. NHL Live’s Liam McHugh will host the show alongside former NHL players and analysts Mike Milbury, Keith Jones, and Jeremy Roenick. Tuesday’s show will also feature segments with McGuire and Olczyk on-site from TD Garden in Boston, previewing Flyers-Bruins on Wednesday. 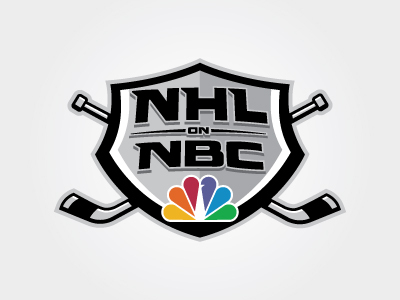 NBC Sports Live Extra, NBC Sports Group’s live streaming product for desktops, mobile devices, and tablets, will stream all 2014-15 NHL regular-season games televised on NBC and NBCSN. For desktops, NBC Sports Live Extra can be accessed at NBCSports.com/liveextra. The NBC Sports Live Extra app is available at the App Store for iPad and iPod touch, and on select tablet devices within Google Play. NHL Live, NBC Sports Group live pre-game and post-game studio show, provides insight and analysis for every NHL game on NBC and NBCSN. NHL Live will usually begin 30 minutes prior to game time, with post-game coverage airing immediately after the conclusion of the game. NBC Sports Group’s Liam McHugh will host NHL Live with former NHL players and analysts Mike Milbury and Keith Jones from the International Broadcast Center in Stamford, Conn. Hosts Kathryn Tappen and former NHL players and analysts Jeremy Roenick and Anson Carter, will also contribute throughout the season. NBCSN’s NHL Rivals and NHL Top 10 programs will return for the 2014-15 season, examining the greatest NHL rivalries and analyzing timeless hockey debates on iconic NHL teams, players and moments in the sport’s history. NHL Rivals premieres this season on Tuesday, Oct. 14 at 10:30 p.m. ET with a special Original Six edition, prior to the Wednesday, Oct. 15 matchup between the Boston Bruins and Detroit Red Wings. NHL Rivals airs each week on Tuesday at 10:30 p.m. ET, and examines the matchup featured on Wednesday Night Rivalry the following evening. NHL Top 10, which will airs each week following NHL Rivals, will dive deep into some of the most timeless debates hockey fans have discussed for decades. The weekly countdown program will run the gamut of hockey “bests,” including top goal-scorers and U.S.-born players, featuring commentary and analysis from current and former players, broadcasters and writers. Tues., October 7 NHL Top 10 NBCSN 7 p.m.
NHL Top 10 NBCSN 7:30 p.m.
NHL Season Preview NBCSN 8 p.m.
NHL Top 10 NBCSN 9 p.m.
NHL Top 10 NBCSN 9:30 p.m.
NHL Top 10 NBCSN 10 p.m.
NHL Top 10 NBCSN 10:30 p.m.
NHL Season Preview (Encore) NBCSN 11 p.m.
Wed., October 8 NHL Live NBCSN 6:30 p.m.
Philadelphia at Boston NBCSN 7:30 p.m.
San Jose at Los Angeles NBCSN 10 p.m. Thurs., October 9 Colorado at Minnesota NBCSN 9 p.m.
NBC Sports Group’s NHL coverage drew record ratings during the 2013-14 NHL campaign, notching some of the highest regular-season, postseason and Stanley Cup Final ratings over the last 20 years. The 2014 Stanley Cup Playoffs averaged 1.445 million viewers on NBC, NBCSN and CNBC, making it the second-most watched postseason since NBC Sports Group began its exclusive coverage in 2005-06. The 2014 Stanley Cup Final, won in five games by the Los Angeles Kings over the New York Rangers, was just the fifth Final in 20 years to average more than 5.0 million viewers. For the 77 playoff games telecast on NBCSN and CNBC, the 2014 Stanley Cup Playoffs averaged a 0.66 HH rating and 1.098 million viewers, ranking as the most-watched NHL playoffs on cable in 17 years (1997, 1.211 million viewers on ESPN/ESPN2). The 2013-14 regular season set viewership records for NBC and NBCSN. NBCSN averaged 351,000 viewers over 88 telecasts, making it the most-watched regular season since NBC Sports Group began exclusive coverage in 2005-06. In addition, NBC averaged 1.683 million viewers over 13 games, making it the most-watched regular season on NBCSN since 2005-06. GAME 5: The final game of the 2014 Stanley Cup Final, which was unauthenticated, delivered record traffic for an NHL game on NBC Sports Live Extra for virtually every metric, including uniques (274,473) and live minutes (11,423,556). Live-streaming for the five-game 2014 Stanley Cup Final on NBC Sports Live Extra delivered 603,000 uniques and 37.14 million minutes, up 38% and 22%, respectively, vs. last year and made 2014 the most-consumed Stanley Cup Final ever. PROHOCKEYTALK: ProHockeyTalk (@ProHockeyTalk) on NBCSports.com brings hockey fans up-to-the-minute news, video and information on the NHL and hockey from around the world. The site serves as the destination for all news, analysis and video from NBC and NBCSN productions of NHL coverage, including contributions from on-air commentators. NHLonNBC ON TWITTER: Follow @NHLonNBCSports on Twitter for the most up to date news, scores, photos and videos around NBC and NBCSN’s coverage of the NHL. For all games on NBC and NBCSN use #NHLonNBC to follow the conversation around the broadcast. A special #RivalryNight is used for all Wednesday Night Rivalry Matchups on NBCSN. NHLonNBC ON INSTAGRAM: Follow @NHLonNBCSports on Instagram for photos around NBC and NBCSN coverage of the National Hockey League. Stamford, Conn. – September 23, 2014 – Sunday’s thrilling Super Bowl XLVIII rematch between Peyton Manning and the Denver Broncos vs. Russell Wilson and the Seattle Seahawks headlines tonight’s night’s episode of NFL Turning Point, NBCSN’s Emmy Award-nominated weekly NFL show co-produced by NFL Films. Airing at 10 p.m. ET, the all new episode will analyze the key moments that defined Sunday’s matchup, and review how Seattle’s offense ultimately led the team to victory. In addition, this week’s installment will include spotlight features on Redskins – Eagles, a film study with Cleveland Browns T Joe Thomas, and wired-for-sound segments with Patriots head coach Bill Belichick and Giants WR Victor Cruz. Broncos – Seahawks: NFL Turning Point examines Sunday’s game between Denver and Seattle, and highlights how the two teams matched up against each other in their first meeting since last year’s Super Bowl. NFL Films showcases how the Seahawks’ defense prevented the Broncos from scoring for most of the game, reviews how QB Peyton Manning and Denver’s offense orchestrated a fourth quarter comeback to tie the game, and analyzes the game-winning performance of QB Russell Wilson and the Seahawks in OT. Redskins – Eagles: NFL Films examines the offensive shootout between the Washington Redskins and Philadelphia Eagles, and shines a spotlight on the play of Redskins QB Kirk Cousins and Eagles QB Nick Foles. Joe Thomas: NFL Turning Point features an exclusive film study with Browns T Joe Thomas, in which Thomas discusses the Browns’ 2014 campaign. Wednesday night’s episode will also feature wired-for-sound segments with Patriots head coach Bill Belichick and Giants WR Victor Cruz. STAMFORD, Conn. — September 4, 2014 — As the 2014 NASCAR Sprint Cup Series season races to a dramatic finish this weekend at Richmond International Raceway, NBCSN’s NASCAR AMERICA is gearing up for an expanded set of 60-minute Monday shows that begins on Monday, September 8 at 4:30 p.m. ET, and will continue each week through the 2014 playoffs. In addition, NBCSN will present a 60-minute NASCAR Sprint Cup Chase special on Thursday, September 11. The announcement was made today by Jeff Behnke, VP of NASCAR Production for the NBC Sports Group. NASCAR AMERICA premiered in February, following Dale Earnhardt Jr.’s Daytona 500 victory and NBC Sports Group’s multi-platform coverage of the 2014 Olympic Winter Games in Sochi. The weekday 30-minute news and highlights program is hosted primarily by NASCAR on NBC lead race announcer Rick Allen and features regular appearances by NBC Sports NASCAR analyst Jeff Burton, reporters Marty Snider, Kelli Stavast and Nate Ryan, as well as guest analysts such as Kyle Petty, Bobby Labonte, Wally Dallenbach and Frank Stoddard. Monday, Sept. 8 4:30-5:30 p.m.
Thursday, Sept. 11 5:00-6:00 p.m.
Monday, Sept. 15 7:00-8:00 p.m.
Monday, Sept. 22 4:30-5:30 p.m.
Monday, Sept. 29 7:00-8:00 p.m.
Monday, Oct. 6 4:30-5:30 p.m.
Monday, Oct. 13 4:30-5:30 p.m.
Monday, Oct. 20 7:00-8:00 p.m.
Monday, Oct. 27 7:00-8:00 p.m.
Monday, Nov. 3 7:00-8:00 p.m.
Monday, Nov. 10 4:30-5:30 p.m.
Monday, Nov 17 4:30-5:30 p.m.
With this partnership, NBC’s 20 Sprint Cup race schedule includes a designation as the exclusive home to the Chase for the NASCAR Sprint Cup, when the elite national series races through its final 10 events of the season. The Chase culminates with the season-ending championship event, which returns to network television in 2015 for the first time since 2009. Of NBC Sports Group’s 20 NASCAR Sprint Cup Series events, seven will be carried on NBC annually, with 13 airing on NBCSN. Four of NBC Sports Group’s 19 NASCAR XFINITY Series races will air on NBC, with 15 airing on NBCSN. Stamford, Conn. – September 3, 2014 – NBCSN will present more than 45 college basketball games during the 2014-15 season, including 32 regular-season matchups featuring Atlantic 10 and Colonial Athletic Association schools, the Barclays Center Classic featuring Virginia, Vanderbilt, La Salle and Rutgers, and coverage of the Atlantic 10 Championship and CAA conference tournament. NBCSN will air 25 A-10 regular season games featuring all 14 member schools, including Davidson, Dayton, Duquesne, Fordham, George Mason, George Washington, La Salle, Massachusetts, Rhode Island, Richmond, Saint Joseph’s, Saint Louis, St. Bonaventure, and VCU. The schedule boasts 16 games featuring teams from last season’s NCAA Tournament, including four games with 2013-14 A-10 regular season champion Saint Louis, three games with A-10 Championship winner Saint Joseph’s, and four games with Dayton, who advanced to last year’s Elite Eight. Coverage of the A-10 on NBCSN begins Saturday, December 13, at 7 p.m. ET, when VCU hosts Northern Iowa. NBCSN’s Atlantic 10 regular-season coverage concludes Saturday, March 7 at 5:30 p.m. ET when George Mason visits VCU. NBCSN will provide exclusive coverage of the second round and quarterfinals of the A-10 Championship, starting at noon ET on March 12. NBCSN’s CAA regular-season coverage begins Saturday, Jan. 24 at noon ET when Drexel hosts Charleston. NBCSN will air seven regular-season CAA games featuring seven member schools, including 2013-14 regular-season and CAA Conference Tournament champion Delaware, College of Charleston, Drexel, Hofstra, Northeastern, Towson, and William and Mary. In addition to its regular-season coverage, NBCSN will provide live coverage of the CAA Conference Semifinals on Sunday, March 8, beginning at 2:30 p.m. ET, and the CAA Championship Game on Monday, March 9 at 7 p.m. ET. NBCSN will present live coverage of the 2014 Barclays Center Classic, featuring Virginia, Vanderbilt, La Salle and Rutgers. Coverage begins on Friday, Nov. 28 at 7 p.m. with round one of the tournament, followed by the consolation and championship games on Saturday, Nov. 29. The 2014 Barclays Center Classic is part of the BROOKLYN HOOPS™ platform at Barclays Center. NBC Sports Live Extra, NBC Sports Group’s live streaming product for desktops, mobile devices, and tablets, will stream all games telecast on NBCSN. All games will be live streamed via “TV Everywhere,” the media industry’s effort to make quality content available to authenticated customers both in and out of the home and on multiple platforms. Fri., November 28 First Round Barclays Center Classic 7 p.m.
Fri., November 28 First Round Barclays Center Classic 9:30 p.m. Sat., November 29 Consolation Game Barclays Center Classic 7 p.m. Sat., November 29 Championship Game Barclays Center Classic 9:30 p.m. Sat., December 13 Northern Iowa at VCU A-10 7 p.m. Sat., December 20 Iona at GMU A-10 7 p.m. Sun., December 28 Richmond at Wake Forest A-10 4 p.m. Sat., January 3 Duquesne at Dayton A-10 1 p.m. Sat., January 3 Rhode Island at Saint Louis A-10 3 p.m. Sat., January 3 Richmond at Davidson A-10 5 p.m. Thur., January 8 George Mason at Richmond A-10 7 p.m. Sat., January 10 George Washington at La Salle A-10 12:30 p.m. Sat., January 17 Saint Louis at Dayton A-10 12:30 p.m. Sat., January 17 Rhode Island at UMass A-10 2:30 p.m. Sat., January 17 George Mason at George Washington A-10 4:30 p.m. Sun., January 18 Saint Joseph’s at St. Bonaventure A-10 2:30 p.m. Thur., January 22 George Washington at Fordham A-10 7 p.m. Sat., January 24 Northeastern at William & Mary CAA 2 p.m. Sat., January 31 Davidson at Saint Joseph’s A-10 12:30 p.m. Thur., February 5 Richmond at La Salle A-10 6:30 p.m. Sat., February 7 VCU at St. Bonaventure A-10 2 p.m. Sat., February 7 Saint Louis at Fordham A-10 4 p.m. Sun., February 8 Rhode Island at Richmond A-10 2:30 p.m. Thur., February 12 Northeastern at Hofstra CAA 7 p.m. Sat., February 14 St. Bonaventure at Dayton A-10 12:30 p.m. Sat., February 14 Delaware at William & Mary CAA 2:30 p.m. Sun., February 15 Towson at Charleston CAA 12:30 p.m. Sun., February 15 Saint Joseph’s at Fordham A-10 2:30 p.m. Sat., February 21 Dayton at Duquesne A-10 2 p.m. Sat., February 21 Drexel at Northeastern CAA 4 p.m. Sun., February 22 La Salle at Saint Louis A-10 2:30 p.m. Sun., February 22 William & Mary at Hofstra CAA 4:30 p.m. Sat., February 28 Rhode Island at La Salle A-10 12:30 p.m. Sat., March 7 UMass at George Washington A-10 3:30 p.m. Sat., March 7 George Mason at VCU A-10 5:30 p.m. Sun., March 8 CAA Semifinals CAA 2:30 p.m. Sun., March 8 CAA Semifinals CAA 5 p.m. Mon., March 9 CAA Finals CAA 7 p.m. Thur., March 12 A-10 Championship Second Round A-10 2:30 p.m. Thur., March 12 A-10 Championship Second Round A-10 6:30 p.m. Thur., March 12 A-10 Championship Second Round A-10 9 p.m.
Fri., March 13 A-10 Championship Quarter Final A-10 2:30 p.m.
Fri., March 13 A-10 Championship Quarter Final A-10 6:30 p.m.
Fri., March 13 A-10 Championship Quarter Final A-10 9 p.m. The Atlantic 10 Conference is a basketball-centric conference founded in 1976 and consists of 14 diverse members across eight states and Washington, D.C. The mission of the Atlantic 10 Conference is to provide an enhanced student-athlete experience through 21 nationally competitive championship sports. The conference is committed to integrity, educational excellence and providing quality equitable championship experiences for its student-athletes, coaches, and support staff. The membership consists of Davidson College, the University of Dayton, Duquesne University, Fordham University, George Mason University, The George Washington University, La Salle University, the University of Massachusetts, the University of Rhode Island, University of Richmond, St. Bonaventure University, Saint Joseph’s University, Saint Louis University and Virginia Commonwealth University. For more information, visit www.atlantic10.com. The Colonial Athletic Association is a nine-member Division I athletic conference with a geographic footprint that stretches from Boston to Charleston, S.C. and encompasses several of the nation’s largest media markets. CAA men’s basketball teams have combined to win 41 games in postseason play since 2006, including 14 victories in the NCAA Tournament. Member institutions include the College of Charleston, the University of Delaware, Drexel University, Hofstra University, James Madison University, the University of North Carolina Wilmington, Northeastern University, Towson University and the College of William and Mary. NBCSN, part of the NBC Sports Group, is dedicated to serving passionate sports fans. Now in more than 85 million homes, the Emmy Award-winning network is the cable television home of the Summer and Winter Olympics, National Hockey League (NHL), Premier League, Formula One, Major League Soccer (MLS), IZOD IndyCar Series, Tour de France, and beginning in 2015, NASCAR. In addition, NBCSN features college football, college basketball, college hockey, cycling, outdoor programming, horse racing surrounding the Triple Crown and Breeders’ Cup, Fight Night boxing, Ironman, the Dew Action Sports Tour and USA Sevens Rugby. The network is also home to original programs such as NFL Turning Point, Pro Football Talk and The Dan Patrick Show. NBCSN is distributed via cable systems and satellite operators throughout the United States. STAMFORD, Conn. – August 20, 2014 – A matchup of last season’s champions Manchester City and runners-up Liverpool on Monday at 3 p.m. 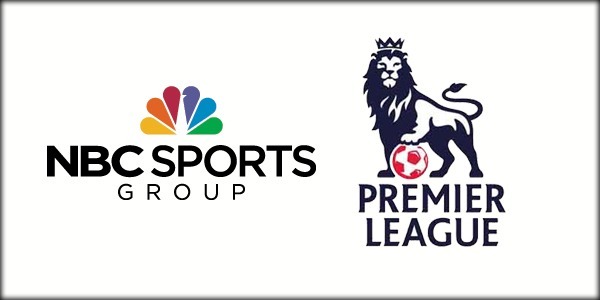 ET on NBCSN and mun2 highlights NBC Sports Group’s Premier League coverage this weekend. On Saturday, fifth-place finishers Everton and U.S. Men’s National Team goalkeeper Tim Howard host last season’s fourth-place finishers Arsenal at 12:30 p.m. ET on NBC and mun2. Two days after playing against Arsenal, Howard makes his season broadcast debut with NBC Sports Group joining Lee Dixon and ITV Sport’s Matt Smith at the Manchester City-Liverpool match for a live on-site studio appearance for Premier League Live at 2 p.m. ET on NBCSN. NBC Sports Group’s Premier League lead play-by-play announcer Arlo White calls both Everton v. Arsenal and Manchester City v. Liverpool, joined by Lee Dixon at Everton’s Goodison Park and Graeme Le Saux at Manchester City’s Etihad Stadium. NBC Sports Group’s coverage on Saturday kicks off with Premier League Live at 7 a.m. ET followed by Aston Villa v. Newcastle at 7:45 a.m. ET on NBCSN. At 10 a.m. ET, NBCSN and mun2 feature coverage of Chelsea v. Leicester City. All matches not shown on NBCSN in the Saturday 10 a.m. ET window will be available on Premier League Extra Time, a bonus television package available to MVPDs at no extra cost for customers who receive NBCSN. Sunday’s coverage kicks off at 8 a.m. ET on CNBC with Premier League Live, followed by Tottenham v. Queens Park Rangers at 8:30 a.m. ET. Coverage switches over to NBCSN at 10:30 a.m. ET for Premier League Live, followed by Sunderland v. Manchester United at 11 a.m. ET. On Monday, August 25, prior to Manchester City v. Liverpool, NBCSN presents back-to-back new episodes of Premier League Download, which take a look back at last season’s top two clubs. The first episode, at noon ET, revisits Liverpool’s memorable campaign and features an exclusive interview with manager Brendan Rodgers, and is followed by an episode at 12:30 p.m. ET highlighting Manchester City’s title-winning season, including an interview with captain Vincent Kompany. All matches will be preceded and followed by Premier League Live pre- and post-match shows from the NBC Sports Group International Broadcast Center in Stamford, Conn. Rebecca Lowe hosts Premier League Live joined by former Premier League footballer Robbie Mustoe, and former Jamaican National Team player Robbie Earle. All Premier League games will be streamed on NBC Sports Live Extra, NBC Sports Group’s live streaming product for desktops, mobile devices and tablets. Crystal Palace v. West Ham United on Saturday, Aug. 23 at 10am ET will be shown in select U.S. cinemas for “Barclays Premier League LIVE.” For a complete list of theater locations and prices, visit www.FathomEvents.com (theaters and participants are subject to change). NBC Sports Group will once again make all 380 games from the Premier League available in the United States on the networks of NBCUniversal, on the Premier League Extra Time bonus TV package, and streamed live on NBC Sports Live Extra. Every MVPD has the option to carry every Premier League match on live television and via live streaming at no additional cost to consumers. STAMFORD, Conn. – June 18, 2014 — NBCSN presents World Series of Fighting this Saturday, June 21, at 10 p.m. ET. The elite mixed martial arts (MMA) card is highlighted by the inaugural title fight in the middleweight division featuring undefeated World Series of Fighting veteran David Branch (13-3) against Jesse Taylor (27-9). Submission specialist Taylor is on a seven-fight winning streak, while his opponent, former UFC veteran Branch, is undefeated in three fights over the past year and a half. The co-main event features Georgi Karakhanyan (23-3-1), in his first featherweight title defense, facing knockout artist Rick “The Gladiator” Glenn (14-1-2 with 7 knockouts), and women’s strawweight champion Jessica Aguilar (17-4), ranked No. 1 in the world, defending her title against Emi Fujino (13-7). Saturday’s card also features bouts between Luiz Firmino (17-6) coming off of a four-fight winning streak vs. former UFC veteran Tyson Griffin (16-7) in the lightweight class, and undefeated rising MMA star Nick LoBosco (7-0) vs. Lance “The Party” Palmer (7-1) in the featherweight class. Play-by-play announcer Todd Harris is joined by mixed martial artists and analysts Bas Rutten and Joey Varner to call the action from the Hard Rock Hotel & Casino in Las Vegas, Nev.
STAMFORD, Conn. – June 11, 2014 – The Los Angeles Kings can win their second Stanley Cup in three years tonight at 8 p.m. ET on NBCSN, with a victory in Game 4 of the Stanley Cup Final to complete a sweep of the New York Rangers. NBC Sports Live Extra – NBC Sports Group’s live streaming product for desktops, mobile devices, and tablets – will provide comprehensive of Game 4. Emmy Award-winning play-by-play broadcaster Mike “Doc” Emrick,analyst Eddie Olczyk, and Emmy Award-winning “Inside the Glass” analyst Pierre McGuire will have the call of Game 4 from Madison Square Garden in New York. Tonight’s pre-game coverage will also include a live interview between NBC Sports’ Josh Elliott and NBC Sports tennis analyst and long-time Rangers fan John McEnroe prior to live game coverage at 8 p.m. ET. The Kings aim for their second Stanley Cup title in franchise history and second championship in three years, with a victory tonight at Madison Square Garden to complete the first Stanley Cup Final sweep since 1998, when the Detroit Red Wings defeated the Washington Capitals in four games. Two years ago, the Kings held a 3-0 series lead against the New Jersey Devils in the 2012 Stanley Cup Final, and eventually won the series in six games. Following is the television schedule for the remaining games of the 2014 Stanley Cup Final, all times Eastern and subject to change. Wed., June 11 Stanley Cup Final – Game 4 Los Angeles at N.Y. Rangers NBCSN 8:00 p.m.
Fri., June 13 Stanley Cup Final – Game 5* N.Y. Rangers at Los Angeles NBC 8:00 p.m. Mon., June 16 Stanley Cup Final – Game 6* Los Angeles at N.Y. Rangers NBC 8:00 p.m.
Wed., June 18 Stanley Cup Final – Game 7* N.Y. Rangers at Los Angeles NBC 8:00 p.m.
NBC Sports Live Extra — NBC Sports Group’s live streaming product for desktops, mobile devices, and tablets — will stream all Stanley Cup Final coverage. NBCSN games will be live streamed via “TV Everywhere,” the media industry’s effort to make quality content available to authenticated customers both in and out of the home and on multiple platforms. STAMFORD, Conn. – June 9, 2014 – NBC Sports Group continued its exclusive coverage of the Stanley Cup Final tonight with Game 3 between the Los Angeles Kings and New York Rangers on NBCSN. NBC Sports Live Extra – NBC Sports Group’s live streaming product for desktops, mobile devices, and tablets – provided comprehensive streaming coverage of Game 3. Emmy Award-winning play-by-play broadcaster Mike “Doc” Emrick, analyst Eddie Olczyk, and Emmy Award-winning “Inside the Glass” analyst Pierre McGuire had the call of Game 3 from Madison Square Garden in New York City. Coverage began at 7 p.m. ET with NBCSN and NHL Live, hosted by Dave Briggs alongside former NHL players and analysts Anson Carter and Jeremy Roenick among the fans outside the Madison Square Garden concourse. Pre-game coverage included a live interview on-set with Rangers legend Mark Messier, who captained the 1994 Rangers to the Stanley Cup title for their championship since 1940. Coverage shifted inside Madison Square Garden at 7:30 p.m. ET with host Liam McHugh and former NHL players and analysts Mike Milbury and Keith Jones, and included a one-on-one interview with NBC Sports’ Josh Elliott and Kings defenseman Drew Doughty. Tonight’s first intermission featured an exclusive interview with Kings forward Dustin Brown, who grew up in Ithaca, N.Y., a few hours outside of New York City. Brown discussed growing up among Rangers fans, and how he and the Kings draw upon inspiration from their 2012 Stanley Cup title. STAMFORD, Conn. – June 9, 2014 – The New York Rangers look to regain momentum in front of a raucous Madison Square Garden crowd tonight when they host the Los Angeles Kings in Game 3 of the Stanley Cup Final at 8 p.m. ET on NBCSN. NBC Sports Live Extra – NBC Sports Group’s live streaming product for desktops, mobile devices, and tablets – will provide comprehensive coverage of Game 3. Emmy Award-winning play-by-play broadcaster Mike “Doc” Emrick, analyst Eddie Olczyk, and Emmy Award-winning “Inside the Glass” analyst Pierre McGuire will have the call of Game 3 from Madison Square Garden in New York. Tonight’s pre-game coverage will also include an exclusive one-on-one interview with NBC Sports’ Josh Elliott and Kings defenseman Drew Doughty, as well as a live interview with Rangers legend Mark Messier, who captained the 1994 Rangers to the Stanley Cup title. The Rangers look to bounce back with a Game 3 victory in the first Stanley Cup Final game at Madison Square Garden since Game 7 of the 1994 Stanley Cup Final, when the Rangers defeated the Vancouver Canucks to win their first championship since 1940. The Rangers return to New York in a 0-2 hole despite never having trailed during the first two games of the series. In Games 1 and 2, New York jumped out to two-goal leads in the first period, only to see the Kings come back and eventually force overtime. The Rangers carried a 4-2 lead into the third period of Game 2 before Dwight King and former Ranger Marian Gaborik scored to tie the game. The score stayed even until the midway point of double overtime, when Kings captain Dustin Brown deflected Willie Mitchell’s point shot past Henrik Lundqvist to move Los Angeles within two wins of its second Stanley Cup in three years. Saturday night’s Game 2 (7:15-11:45 p.m. ET), in which the Los Angeles Kings defeated the New York Rangers 5-4 in double overtime to take a 2-0 series lead, averaged 6.4 million viewers, making it the most-watched Game 2 on record (since at least 1994). The game was up 60% vs. last year’s Game 2 on NBCSN (Bruins-Blackhawks, 4.0 million), and up 121% vs. 2012’s Game 2 on NBC that also featured the Kings (Kings-Devils, 2.9 million). Viewership for the game peaked in the final quarter-hour (11:30-11:45 p.m. ET) with 7.6 million viewers. The 7:15-7:30 pre-game quarter-hour, which immediately followed Belmont Stakes coverage, averaged 9.1 million viewers. The game delivered a 3.7 HH rating. Game 2 dominated primetime. NBC was No. 1 for the night among ABC, CBS, NBC and Fox in A18-49 (2.0) and all other key measures. Game 2 ranked No. 1 in A18-49 in all six primetime half-hours, beat the other major broadcast networks combined in A18-49 rating (2.0 vs. 1.5). New York delivered a 10.5 HH rating for Game 2, the highest-rated NHL game ever on NBC or NBCSN in the market, and up from a 10.1 for Game 1, which was the previous record. Los Angeles scored a 8.9 HH rating, the second-highest such game ever in Los Angeles, behind only the 2012 Stanley Cup Final Game 6 (13.6), which was when the Kings clinched their first-ever championship. L.A. did a 7.1 HH rating for Game 1. Last night’s Game 2, which ended in the second overtime, delivered 9.0 million minutes of live streaming on NBC Sports Live Extra, the most ever for an NHL game, according to Adobe Analytics. It surpassed last year’s Stanley Cup Final triple-overtime Game 1, which produced 8.9 million minutes of consumption. Game 2 was watched by 219,677 unique viewers. Following is the television schedule for the 2014 Stanley Cup Final, all times Eastern and subject to change. Mon., June 9 Stanley Cup Final – Game 3 Los Angeles at N.Y. Rangers NBCSN 8:00 p.m.